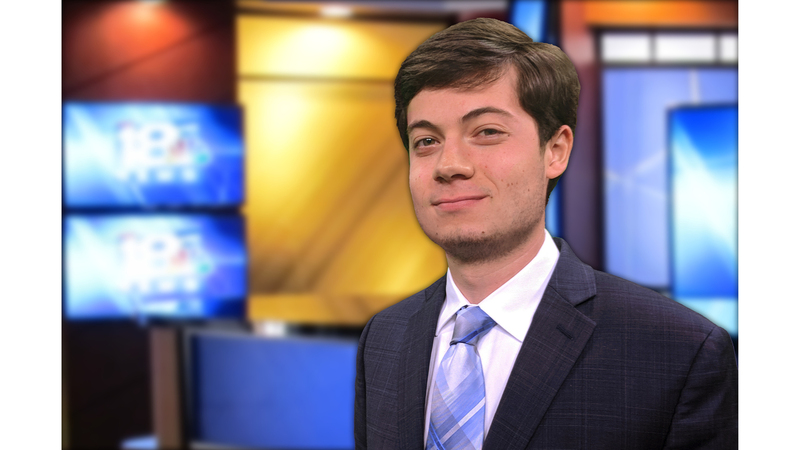 Grayson Jarvis joins WETM as a meteorologist and reporter. Grayson was born in Boston, and moved to the Mount Vernon area of Northern Virginia when he was young. His fascination with weather was sparked in 2003, when he experienced a hurricane for the first time during Hurricane Isabel in 2003. He graduated from Mount Vernon High School in 2014, and decided to go to school in a state where he could learn the most about hurricanes - Florida. He attended the University of Florida, where he received a degree in Telecommunications with a News specialization, as well as a certificate in Meteorology and Climatology. While at school, Grayson was a TV and radio reporter for WUFT-TV and WUFT-FM, the PBS and NPR affiliates in Gainesville, Florida. He also became a forecaster for the UF Weather Center and the Florida Public Radio Emergency Network; a statewide initiative that links all the public radio stations in the state in order to best communicate emergency information to the entire state at once. His greatest achievement in college came in September 2017, when he was a member of the FPREN team that provided over 50 hours of nonstop coverage to millions of people throughout the state as Hurricane Irma moved up the Florida peninsula. Apart from hurricanes, Grayson has had the opportunity to forecast everything from freezes (yes, they get those in Florida!) to tornado outbreaks to thunderstorms and just about everything in between. As a reporter, he has covered events ranging from the 2016 presidential election, a shooting at an area high school, and a number of investigative pieces, including an investigation into FEMA and where local tax dollars were going after severe weather events. Grayson is excited to be back in an area with four seasons, and is thrilled to bring his unique perspectives and experiences to the 18 Storm Team and to work alongside such a great team of reporters and meteorologists. You can reach him at GraysonJarvis@wetmtv.com with any story ideas, questions, or recommendations on where to eat in the Twin Tiers!